PlayStation 3 and PS Vita sequel arrives late September. 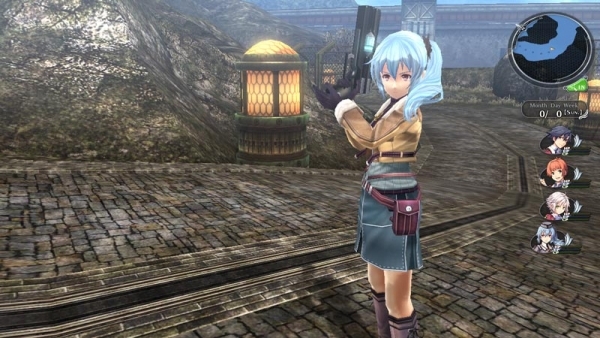 The Legend of Heroes: Sen no Kiseki II will launch for PlayStation 3 and PS Vita in Japan on September 25, this week’s Dengeki PlayStation reveals. The magazine also reveals new character Artina Orion, voiced by Risa Taneda. Code-named the Black Rabbit, she has the ability to summon the Claiomh Solais. She is connected to Miriam in some way, but details as to how are unknown. She is also a co-worker of the nobles faction. Also introduced is the new “Spirit Unification” system. When Rean uses it, he enters an awakened state that boosts his status, changes his attack techniques, and enables him access to special techniques. It’s only disadvantage appears to be that it disables the use of item and arts. Finally, the magazine also shares details on “Lost Arts.” Players can use three types of special arts by equipping certain types of quartz. EP can be used once per battle this time around, with the gauge for it being exhausted in one fell swoop instead of trickling down over turns as has been previously the case.